I have been having great fun visiting WI’s, Mothers Unions and charity events following invites to talk about Catching Babies, and other group talks are booked for next year…in fact my diary is getting full! 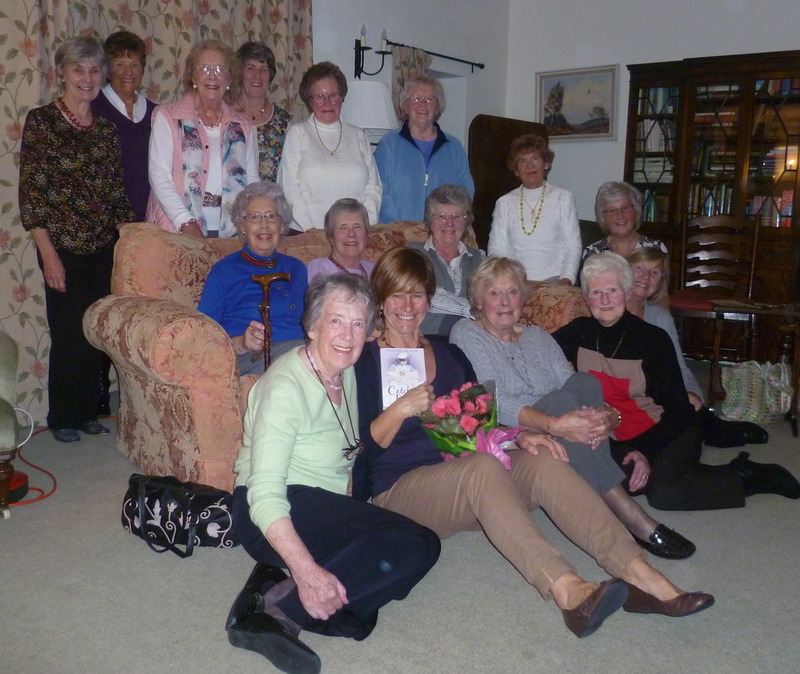 This photo was taken after a very special evening with the Skipton Lady Tangents, which I learnt is the name of Ladies Circle members who reach 40! Heather Longbottom, the group member who invited me warmly welcomed me into her fabulous character filled home, told me that many of the members had been friends since their 20s. It was obvious the group were close as they were happy to share their birth stories with everyone once my talk was over, which was very enlightening. I seem to learn so much at each meeting I attend…I had never heard of the ‘Tangents’ nor attended a Mothers Union meeting, so lots to be gained!